My first trip to China! I was not disappointed! Arriving at the airport I was taken by how flat the land appeared but also the sheer size of everything – of course I know that China has a population of 1 billion people and an army of 1 million people, but to accommodate managing that amount of people means that it is very regulated and structured in vast spaces. 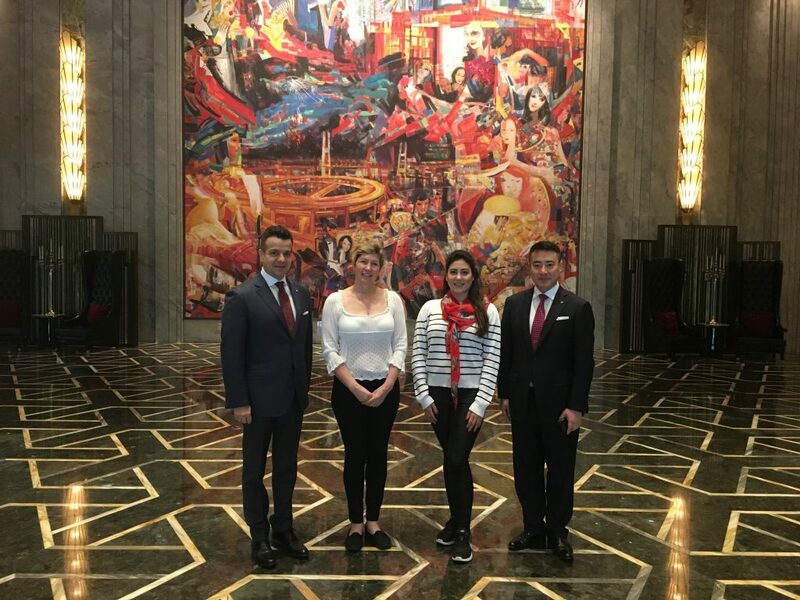 When I arrived at the world’s first seven star hotel in China, the Wanda Reign Hotel, I wasn’t sure what to expect.. but I thought I’d like it! I can’t remember saying ‘wow’ so many times before – I have travelled to many hotels and many countries but this was different. It is regal, it is modern but it is not a show off destination. It is refined and a living art gallery; calm, peaceful, graceful and yes, quite beautiful. We walked around (I had a tour of the hotels facilities including presidential suite, the conference room and restaurants) they each continued to wow me. Why? Because this hotel uses the finest linens, 600 count, the finest products, it manufactures many things itself in its own foundry, stone and furniture workshops it has made its own glass handles, designed the theme and logo which has been used to stamp through the hotels surfaces with style and subtlety in a modest and sophisticated way that is so very impressive. 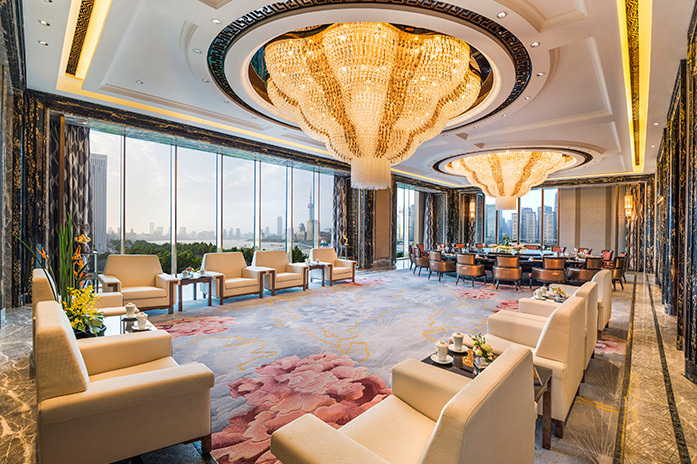 The Wanda group have achieved this through their own design Institute, to train their designers for this group of hotels (Wanda build, own and manage some 70 hotels in China and have had many around the world which they acquire and refurbish. They have recently sold many international projects as they restructure their next step. Wand Group is headed by Chairman; Mr. Wang Jianlin. He is not just an investor, he loves design and when I was first approached I thought it might not be a genuine message, but it was. 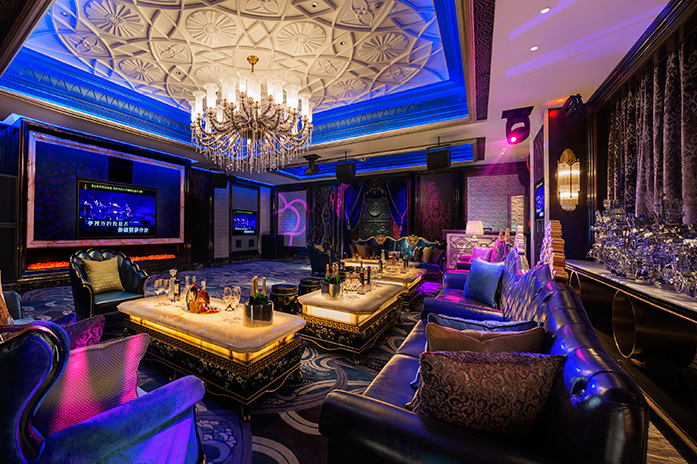 Design is continually the focus of improvement and that is the wonder of Wanda. Dalian Wanda Group Co Ltd is China’s largest commercial property company and the world’s largest cinema chain operator. 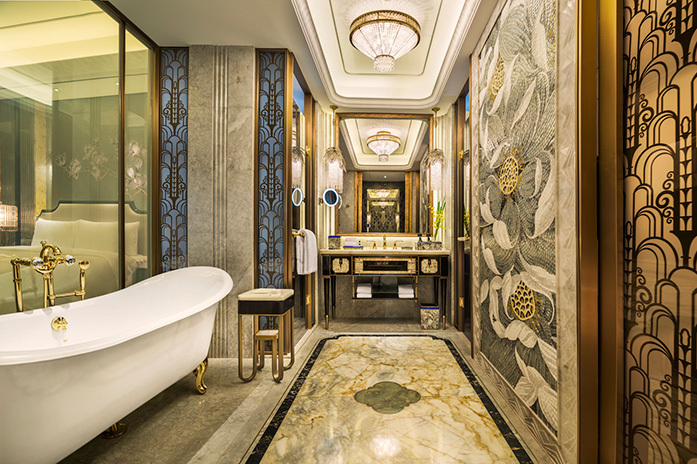 Wanda also operates luxury hotels, culture & tourism projects and department stores, it holds assets of $83,1 billion US dollars – this Shanghai hotel was built to promote art and address the young emerging wealthy fun market players as patrons. It does indeed do all of those things. But it does so with design at the forefront. I was therefore delighted to take the opportunity to book into this hotel as the group had won an SBID award in the past for best hospitality category. I thought I would check it out incognito and so we booked in and thought we would quietly take a look around for ourselves. As a guest I have stayed in many hotels in many countries either on business or socially over the years and I take into account that each hotel has a different consumer target focus, it maybe tourist, business or destination etc. but few manage with grace and style to achieve all three. 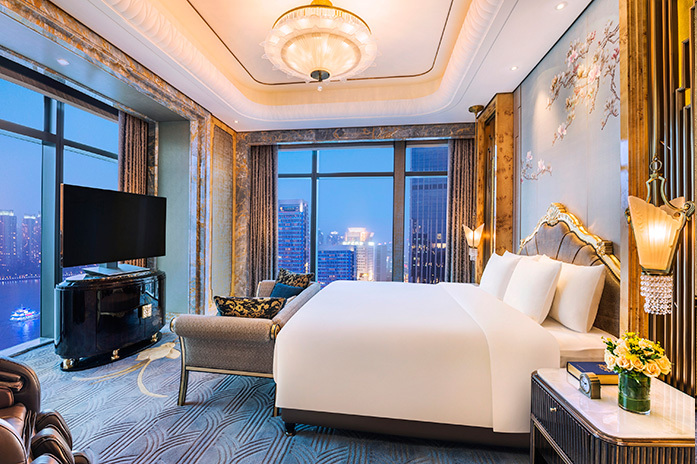 I would put the Dorchester London and Wanda Reign Shanghai in the rare category of achieving all – they are two of just a handful of super service, super design and quality finish hotels in the world that impress on every level to every audience and they truly are a seven star hotel. It was their attention to customers, the detail in how they deliver service that makes the difference but also for me in an emerging global business market where the internet has its own market audience, and its own super speed, where there is no hiding place for poor performance this hotel has achieved the rare combination of applying wealth and style to the Uber wealthy who don’t care about how they look personally, they live in a world of wealth. It is making money and building success that drives them, they don’t care to make personal impressions. Social media has ensured that everyone has a voice and that class is removed from society. Everyone can say what they want to say – rightly or wrongly and so although this is a freedom, it also has its dangers too. In a modern market a young audience can kill your business through negativity and I often wonder how much of such rhetoric is real and how much is competitor trolling. Navigating my way around Shanghai was difficult as not only do I not speak Chinese, but in fact none of the cab drivers speak English and even showing the address written down in Chinese we found it hard to stop a) stop a cab, or b) find the right destination. Uber worked extremely well as an alternative to the street cabs and Design Chain (an e-commerce platform for interior design products) graciously provided us with a car on several occasions, these drivers knew the address as they have sat-navigation and again relied on the Internet to improve a business model for 21st century business.